"Will we discover the new Andy Warhol or Andrea Warhol of our time?" The advertising industry is home to some of the world’s most creative people, many of whom are artists, designers, sculptors and photographers in their spare time. Maria van Vlodrop recognized this and decided to do something about it. Van Vlodrop launched Ad Art Show in 2018 to shine a light on and motivate young artists in the advertising, design and commercial arts industries. Last year, more than 90 artists from around the world exhibited their work at Sotheby’s NY, and this May, the show is expected to be even bigger. "Ad Art Show is a natural extension of my background in the business world. 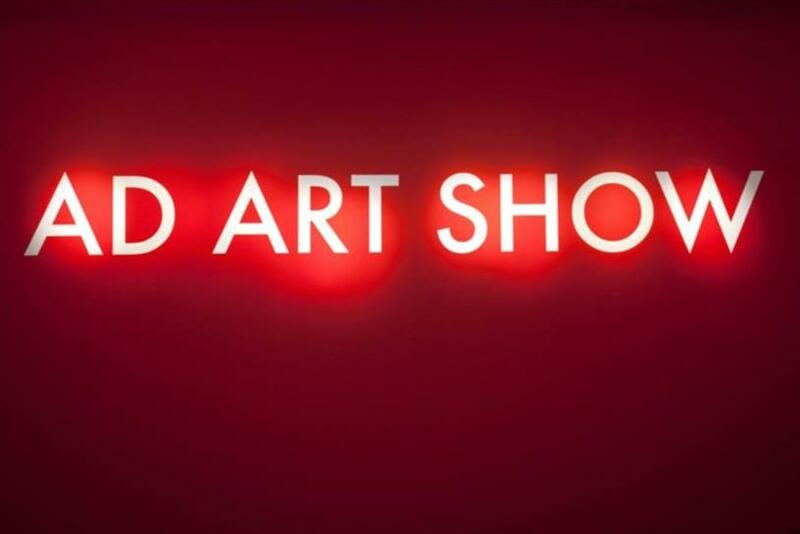 I encountered so many talented people—often pursuing dual careers with one foot in the ad world and the other in the art world—and I think Ad Art Show provides them with a unique opportunity," said van Vlodrop, who founded MvVO Art, which launched Ad Art Show. "The historical precedent is on display in all our favorite museums as Warhol, Magritte, Toulouse-Lautrec, Haring, Rockwell and so many other famous artists either lived in both worlds." During Frieze Week in New York City, May 1 - 4, Ad Art Show will be on display through LinkNYC’s digital kiosks. Additionally, pieces of work from select artists will be on display across the digital screen network at the Oculus at Westfield World Trade Center throughout May. Ad Art Show has a number of supporters, including NBCUniversal as its presenting partner. Linda Yaccarino, chairman of advertising, sales and client partnerships at NBCU, told Campaign US: "Creativity is such a vital part of our lives, and at the heart of everything we do at NBCUniversal. We’re so proud to celebrate these talented artists as presenting partners of the Ad Art Show. Whether we’re talking about innovative pop art or driving pop culture, the wall of a gallery or the screen in your home, one thing is true: creative work inspires people to feel, to remember, and to act." Other partners and supporters include Westfield, WPP, GroupM, SYSTECH, Artnet, SVA (the School for Visual Art), NYCxDESIGN, 100 Coconuts, The One Club for Creativity, Westfield and Franklin Furnace. All of the show’s supporters, van Vlodrop said, understand the importance of creativity and art. "The 21st century zeitgeist is one in which brands and branding are paramount," she said. "Artists can become an important resource for brands and brands can support artists." At this year's show, van Vlodrop asks: "Will we discover the new Andy Warhol or Andrea Warhol of our time?" Van Vlodrop also said she’s incredibly fortunate to work with and have support from her Chief Creative Officer, Roger Allen Bentley, and Chief Curator, Isaac Aiden. WPP executive and Y&R non-executive chairman David Sable was one of Ad Art Show’s first supporters. The quality of the art pieces at last year’s show "blew my mind," he told Campaign US. "I bought a piece off the wall that’s hanging up in our house right now. I'm so proud to be a part of it."